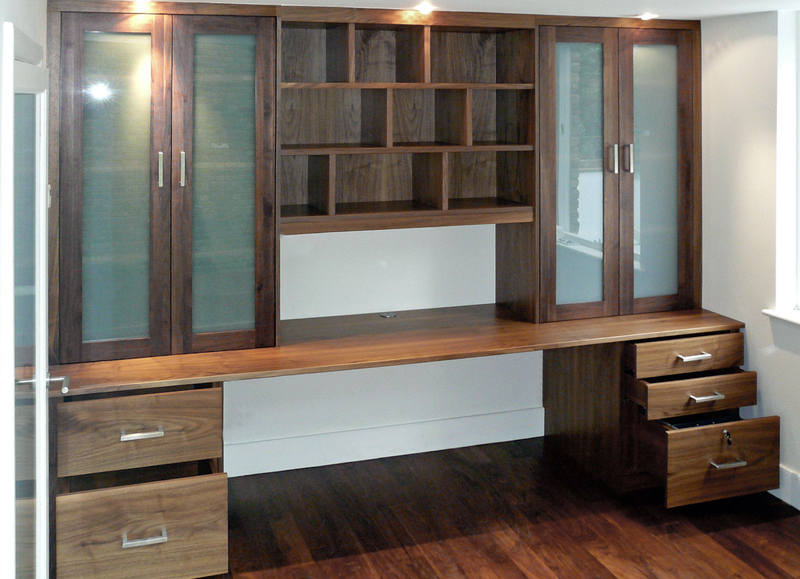 This walnut and opaque glass combination works very well in a relatively small room as the walnut brings in plenty of warmth and elegance with the opaque glass reflecting valuable sunlight and complimenting the stylish contemporary design. 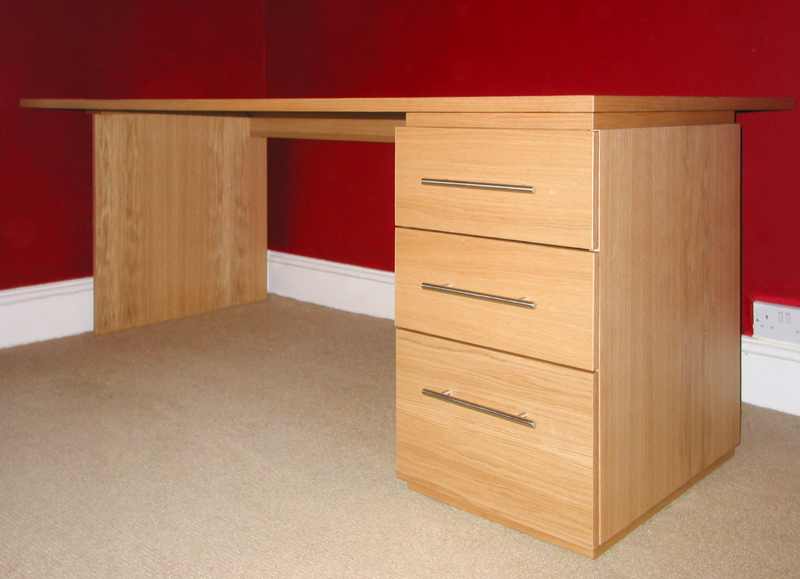 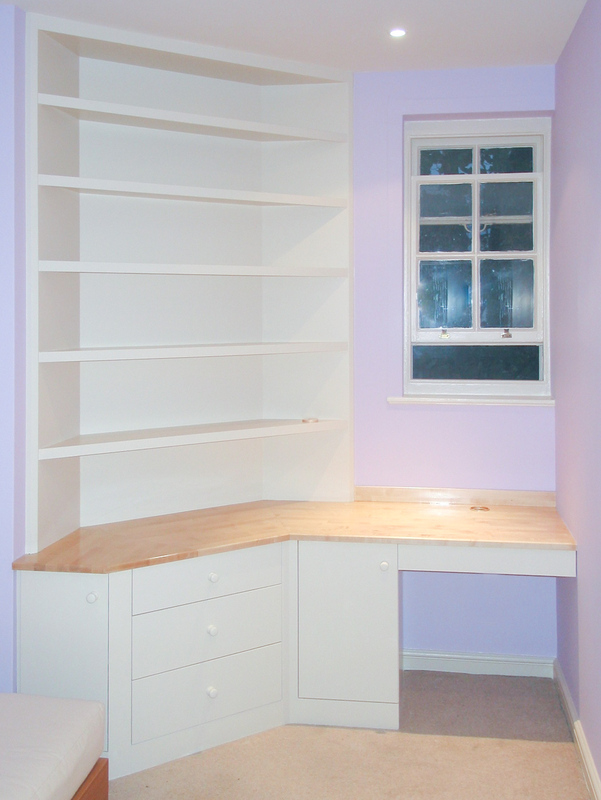 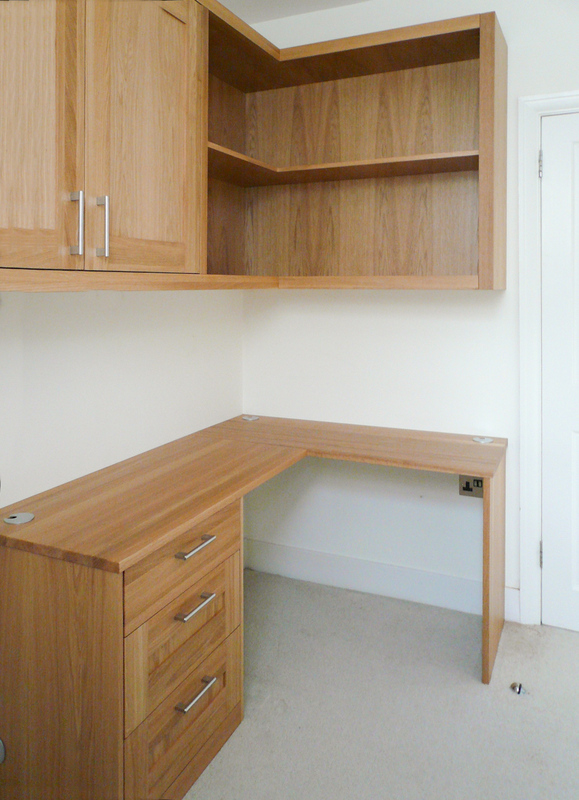 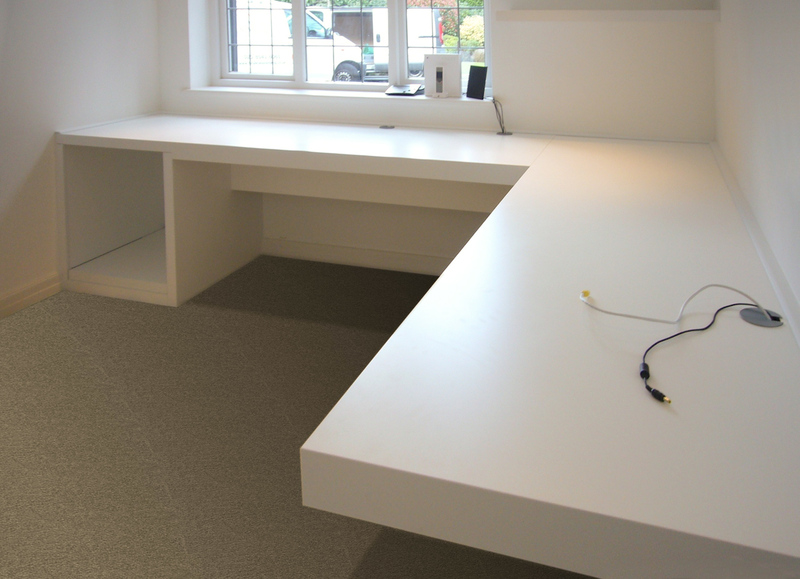 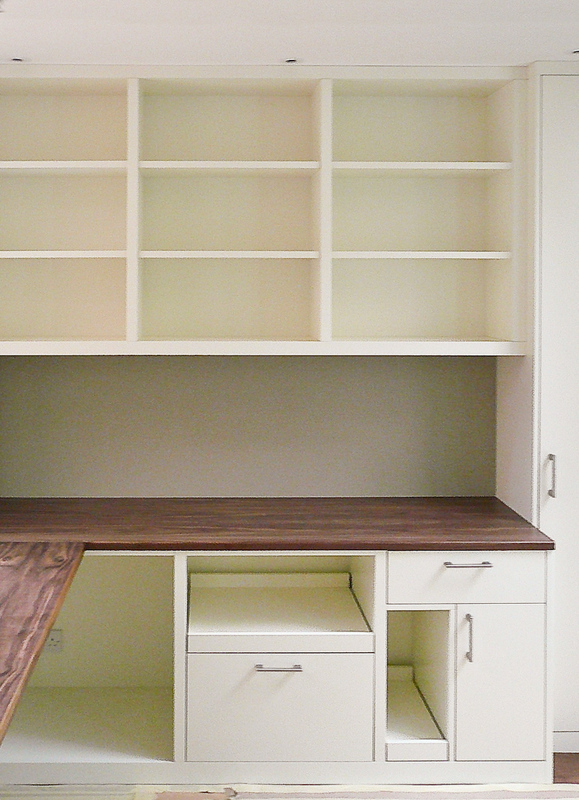 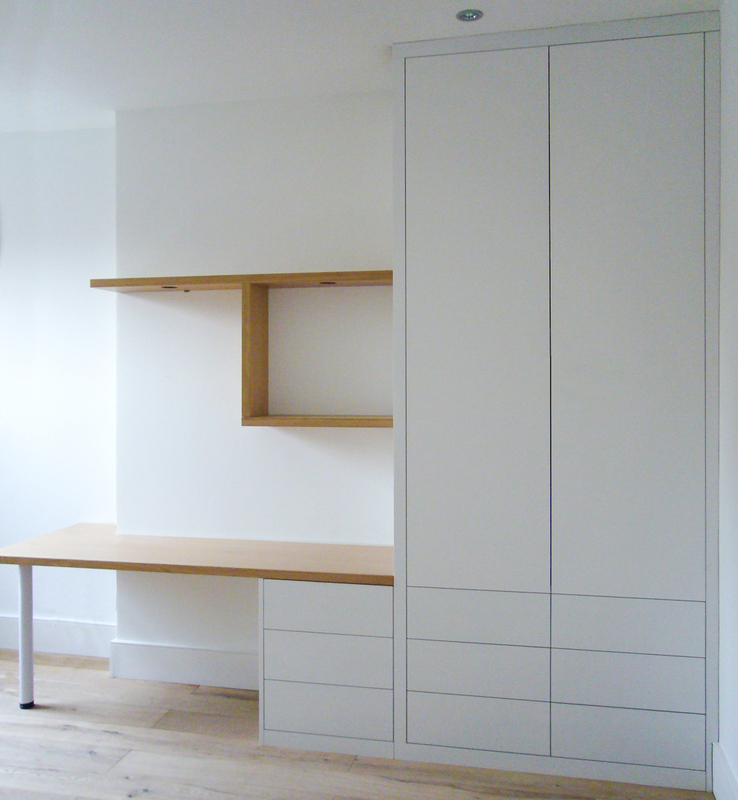 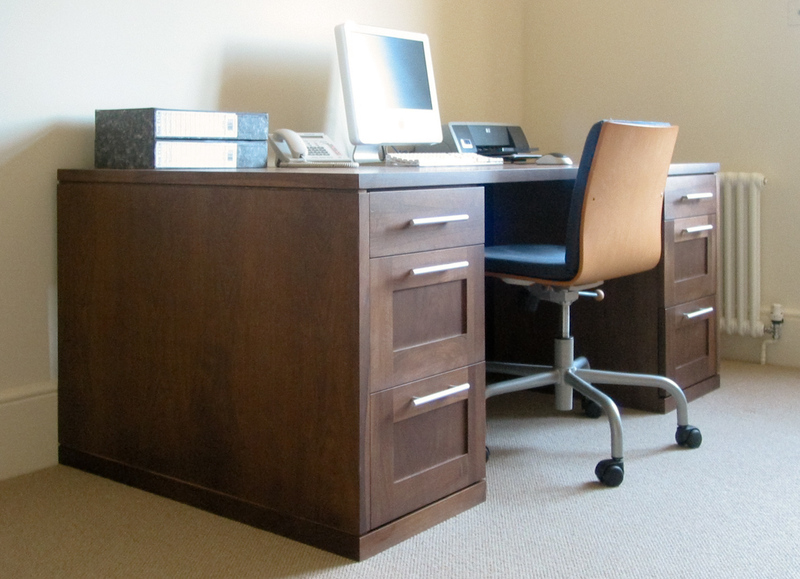 We have designed this home office to be extremely functional and user friendly with bags of easy to reach shelving, filing and soft closing drawer storage. 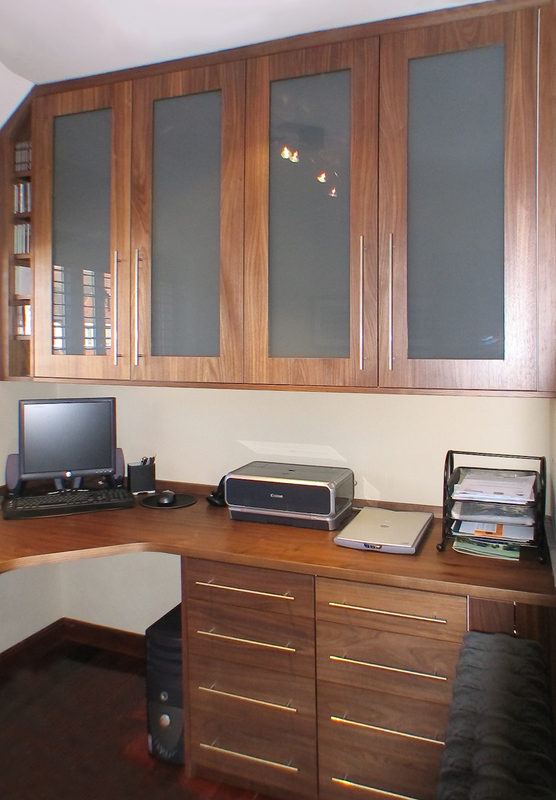 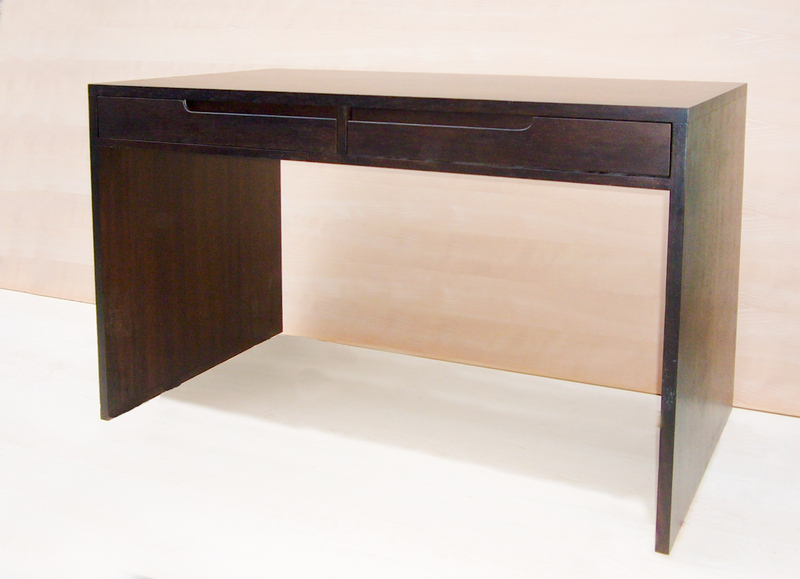 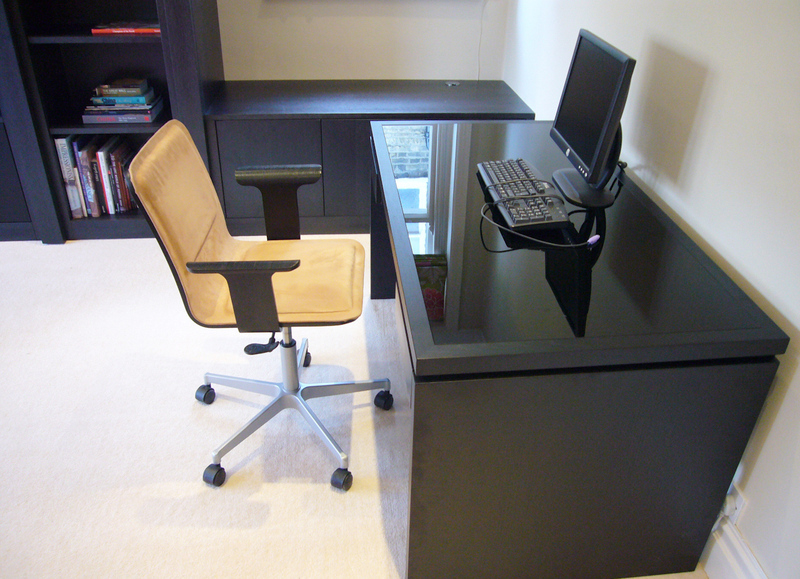 Contemporary home office design, this one is in walnut with opaque glass doors. 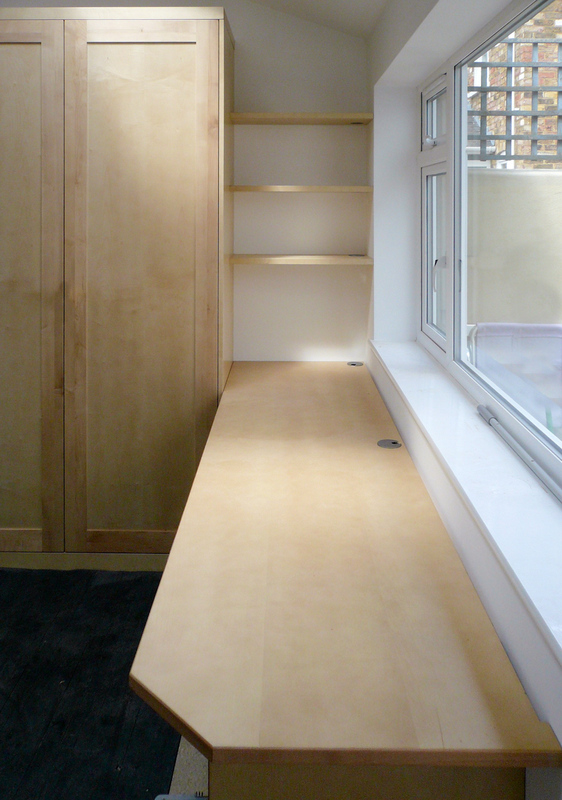 Open bookshelves with dividers A-symmetrically positioned to create a bespoke design element. 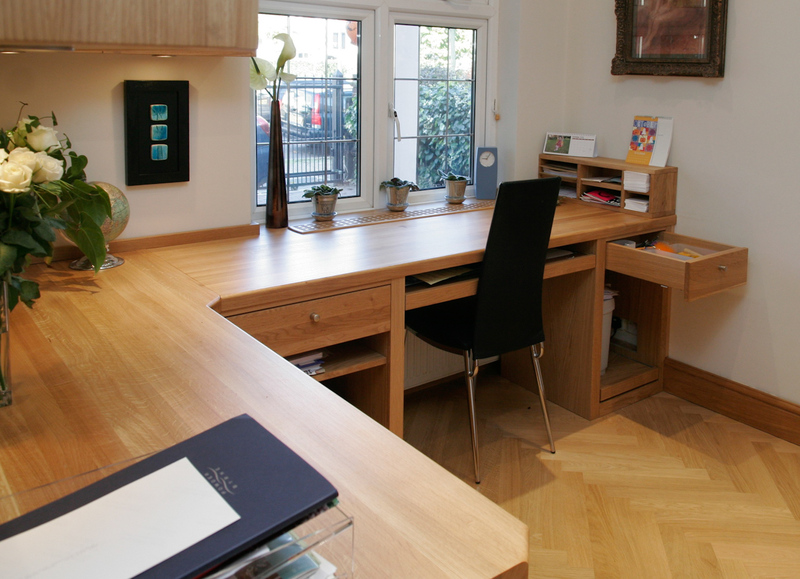 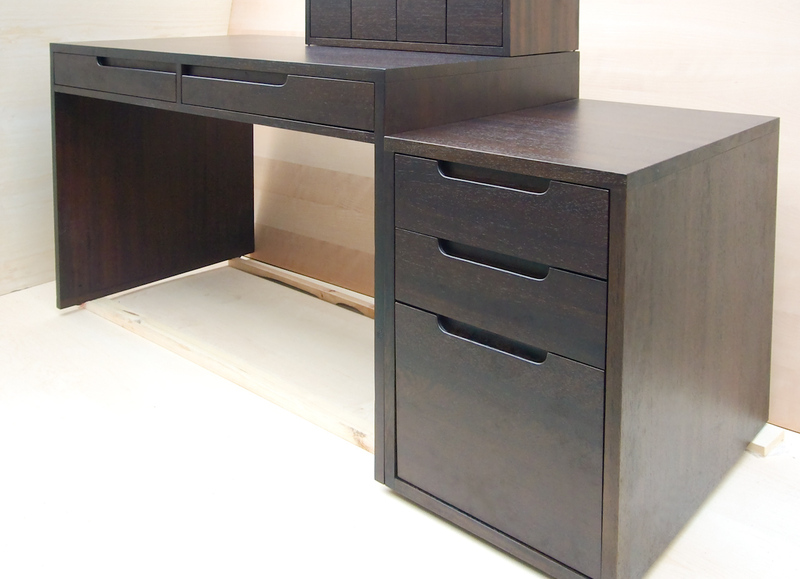 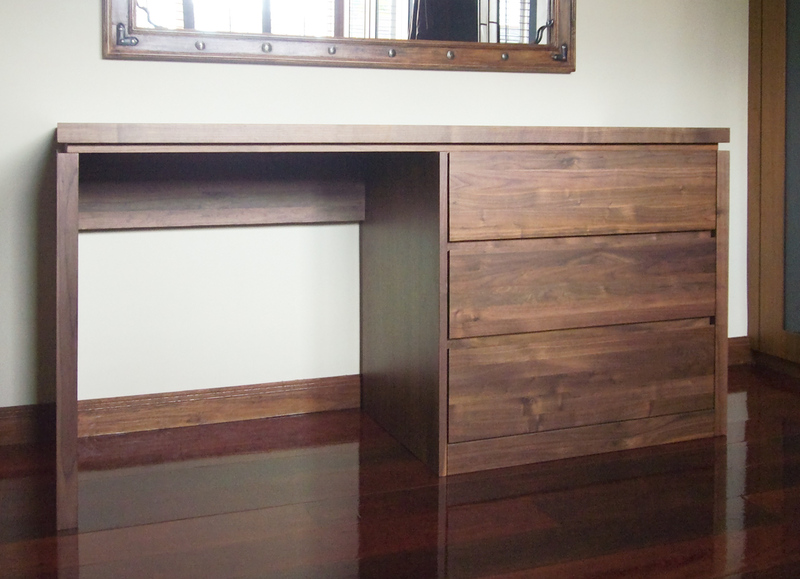 This stunning custom made home office is from solid ash, designed to incorporate the printer, shredder and keyboard so that everything is neatly tucked away. 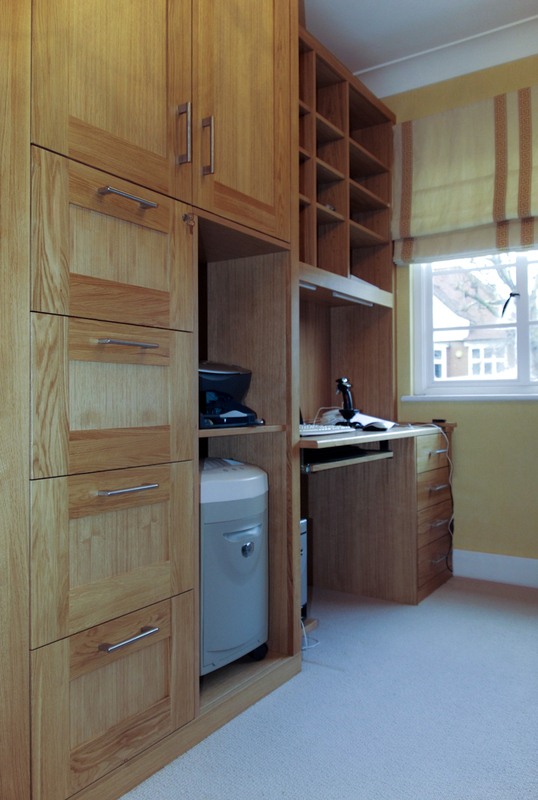 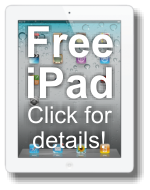 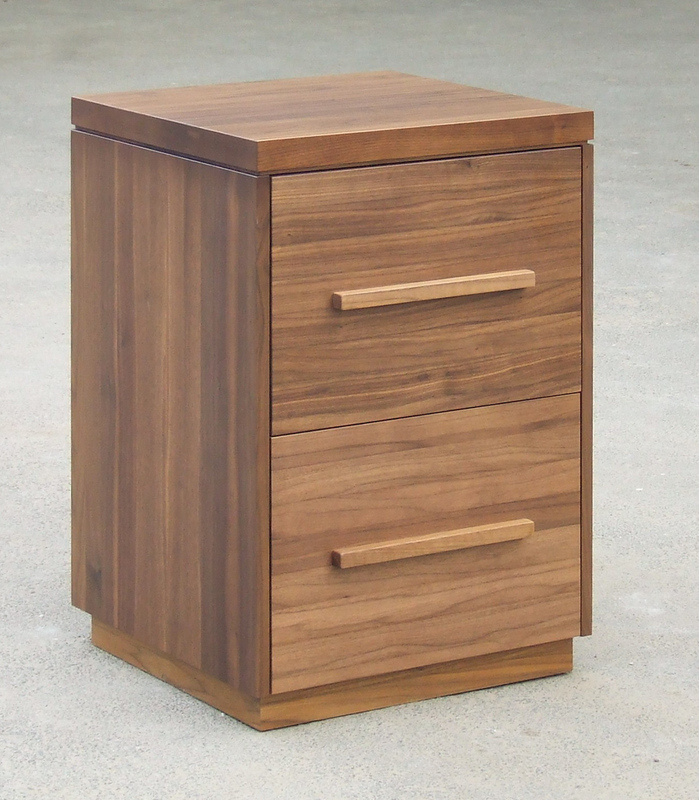 We have also provided ample hanging file storage within lockable pull-out drawers on our soft closing system.